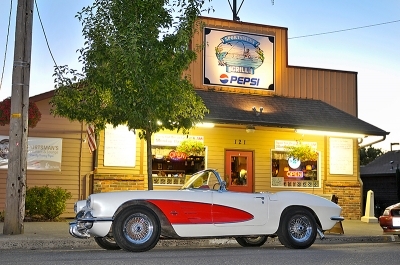 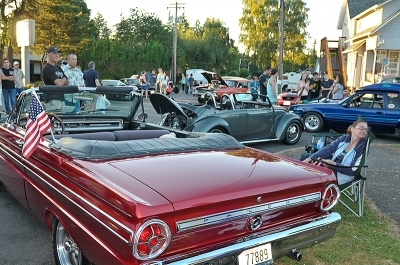 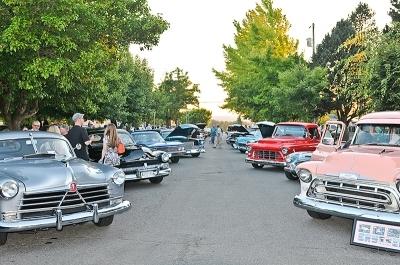 Downtown Ridgefield, Washington played host to the 4th Annual “Calling All Cars” Cruise-In on a warm summer evening. 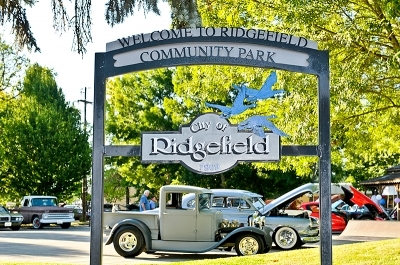 Ridgefield is located near Lake River, between the Columbia River and I-5. 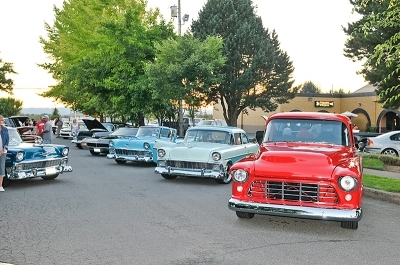 The sound of nearby trains, along with the downtown look and feel, give this city a small town appeal.